I am glad that Minister of Home Affairs Tan Sri Muhyddin Yassin has clarified his position that further investigations into the death of Teoh Beng Hock has commenced with the setting up of a special taskforce which has submitted its investigation papers to the Attorney-General’s Chambers (AGC) on 18.10.2018 (see: “Beng Hock’s death: Muhyiddin raps Ramkarpal over ‘false claim’”, Malaysiakini, 11.1.2019). Muhyddin went on to state that the AG has given certain instructions to the special taskforce on 17.12.2018 and as such, the investigations are still ongoing. I, however, vehemently deny Muhyddin’s claim that I had made “careless and false” remarks in relation to the status of the said investigations. In this regard, it must be noted that, to my knowledge, Muhyddin’s said revelation above that a special taskforce has been set up which has handed its investigation papers to the AGC and that such investigations are still ongoing was made by him for the first time today after I had expressed dissatisfaction yesterday on behalf of Teoh’s family with regard to the delay in such investigations (see: “Ramkarpal: Why the silence on reopening Teoh Beng Hock probe?”, Malaysiakini, 10.1.2019). It must be further pointed out that I had written to Muhyddin letter dated 26.10.2018 in response to his statement, which appeared in The StarOnline the day before, that investigations into Teoh’s death will only be taken upon instructions by the AG (see: “Muhyiddin: Decision to reopen Beng Hock case must come from AGC”, The Star Online, 25.10.2018) where I had expressed shock at his said statement, having regard to the fact that the AG had already instructed the IGP to commence such investigations in July, 2018. “The Home Ministry acknowledges the cabinet’s decision on June 20, 2018 to reopen the case of Teoh’s death. I had, again, called on the Home Ministry to exert pressure on the Inspector-General of Police (IGP) to reopen investigations into Teoh’s death on 15.12.2018 (see: “Ramkarpal: Home Ministry should direct IGP to reopen probe into Teoh Beng Hock’s death”, The Star Online, 15.12.2018). Apart from the above, I had also raised Teoh’s matter in Parliament in its last sitting which ended in December, 2018. It can be summarised from the above that I had raised my concern at Muhyddin’s statement that investigations into Teoh’s death will only be taken upon instructions by the AG since at least October last year, both personally by letter and in the press. As such, surely Muhyddin must have known since at least October last year that he had been quoted on numerous occasions as having said that investigations into Teoh’s death will only be taken upon instructions by the AG which clearly implies that such investigations had not yet commenced. Yet, Muhyddin never responded to my said letter or the said press reports above or clarify that he was referring to the investigation papers submitted to the AGC by the said taskforce on 18.10.2018 when he said in October last year that the police were awaiting further instructions from the AGC. It is only today that he has revealed for the first time that the said special taskforce had been set up last year which has handed its investigation papers to the AGC and that such investigations are still ongoing. Muhyddin’s silence in the past until only today in respect of the claim that he had yet to instruct the IGP to recommence investigations into Teoh’s death surely amounts to an acceptance of such claim. There can be no doubt that his said silence on the matter was taken by many to mean that indeed, he had yet to direct the IGP on the matter. I was not the only one who formed such an impression as a result of Muhyddin’s silence. Others did too. 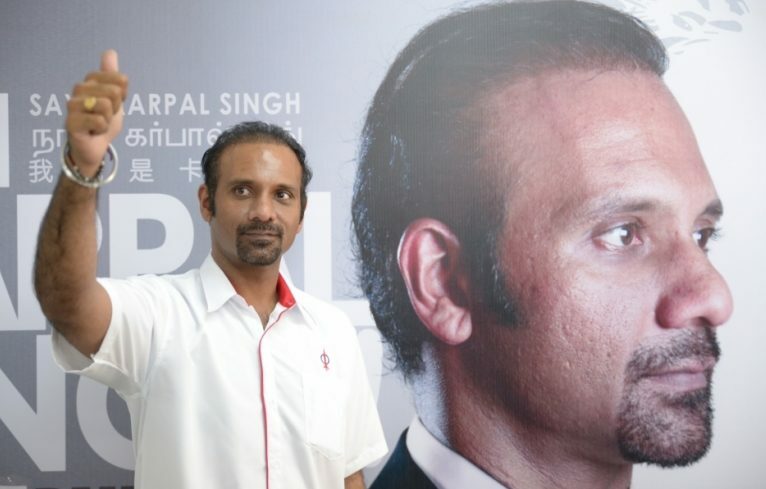 “The Teoh Beng Hock Trust for Democracy is shocked by the revelation by Bukit Gelugor MP Ramkarpal Singh that the Attorney-General’s Chambers (AGC) had informed the Inspector-General of Police Fuzi Harun, as early as July 17 this year to conduct a fresh investigation into Beng Hock’s death. This is apparently a contradiction of Home Minister Muhyiddin Yassin’s statement on Oct 25 that he has yet to receive a directive from the AGC to initiate a new investigation. Again, there was no response from Muhyddin to the above. In the circumstances, I must reiterate that I did not, at any time, make any false or careless remarks in relation to the status of Teoh’s death. Moving forward, as I had said earlier, I am glad that Muhyddin has confirmed that further investigations into Teoh’s death has begun and is ongoing. This is certainly a step in the right direction and shows that the Pakatan Harapan (PH) government is committed to getting to the bottom of this unfortunate tragedy. It is hoped that regular public updates are made in relation to the progress of the said investigations so as to avoid any future misunderstandings and to ultimately provide closure to Teoh’s family after all these years. Dated this 11th January, 2019.